There are some stunning places to stay in the Lake District – many very luxurious with restaurants with plenty of accolades – The Samling, Hollbeck Ghyll, Miller Howe, Sharrow Bay – of which more later. However, there’s something really good about staying in an outstanding pub. 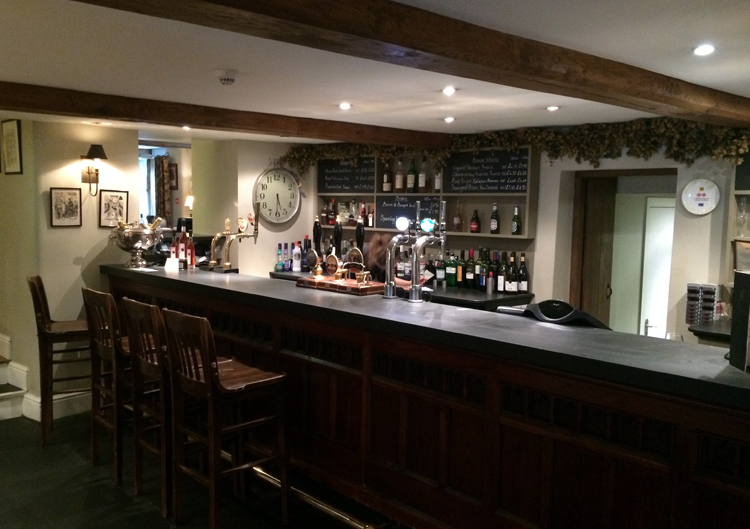 Many have all the worthwhile benefits of the grander places (very spacious and comfortable rooms, excellent food) but with the advantage of a more relaxed welcome…and a bar with good local beer. You know, we can still carry our own bags, thanks and no, we’ve left our helicopter at home today. 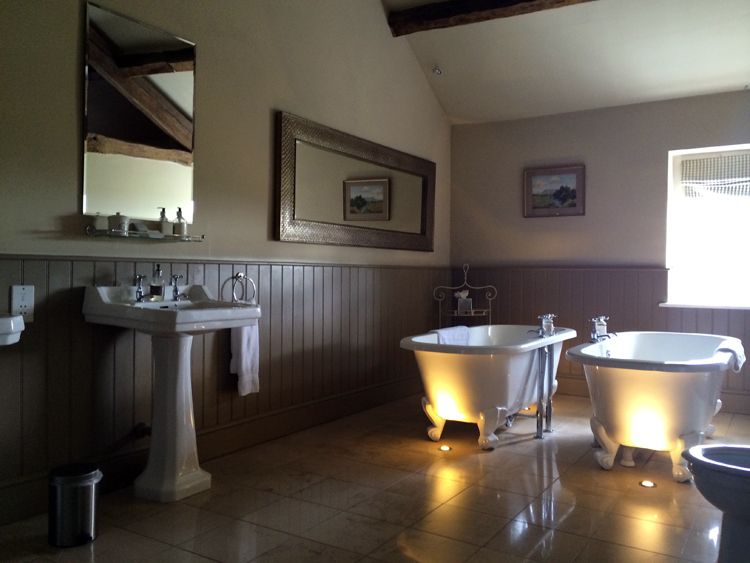 Now, for example, Holbeck Ghyll is wonderful but it’s more of a special special occasion. 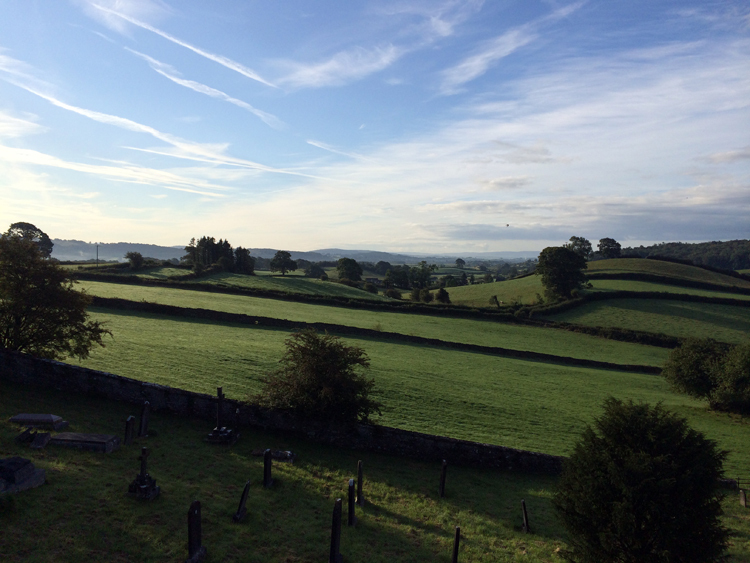 The Punch Bowl at Crosthwaite is for very relaxed pampering without having to take out a second mortgage. And in reality, you couldn’t wish for a nicer place to stay. 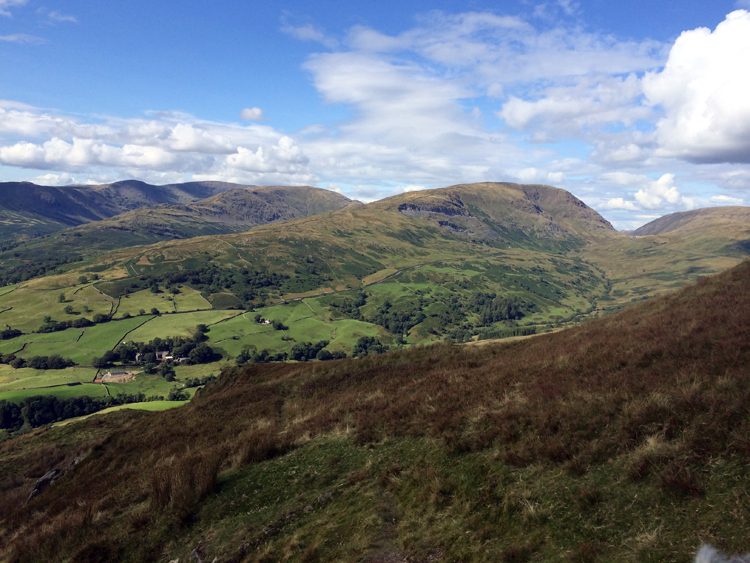 Quick access (traffic permitting – we were there on the August Bank Holiday weekend) to good walking and central Lake District hot spots. Very friendly and excellent food – the scrambled egg for breakfast might just have been ever so slightly better than we make at home. Beer on tap from Coniston Brewery (Bluebird 3.6% ABV), Kirkby Lonsdale Brewery (Tiffin Gold 3.6% ABV) and Barngates (Tag Lag 4.4% ABV). We did some great walking, courtesy of the little walk books by Paul Hannon. Now let’s face it, he’s no Wainwright. No beautiful illustrations but a wordy, rather contorted and archaic style of writing that serves as much to confuse as enlighten the first-time walker. Now we’ve learnt to take many of his descriptions with a pinch of salt, and make sure we’re closely connected to the relevant 1:25,000 OS Map. It wouldn’t hurt him to add a few useful details, like “in about 150 metres” so there’s a bit if precision. We’ve learnt that his “almost immediately” could be anything. 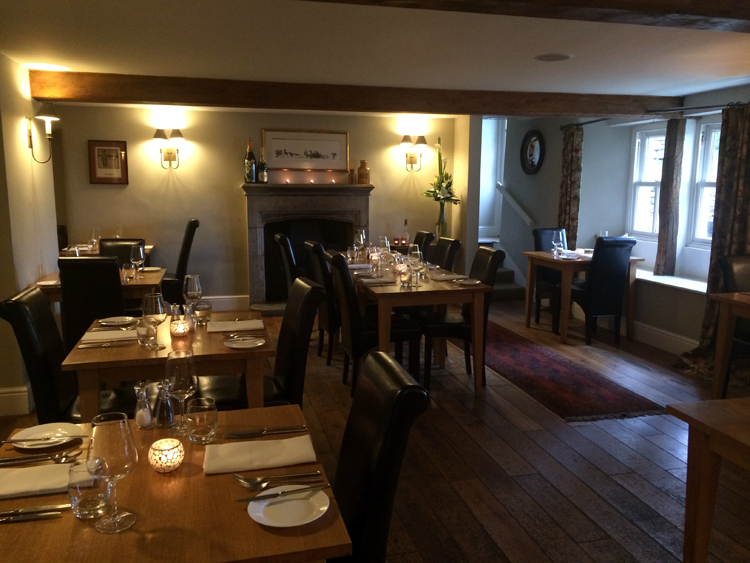 Pub with rooms The Punch Bowl Crosthwaite. They used to share ownership with the Drunken Duck (see elsewhere) but no longer. Still the same excellent quality though. 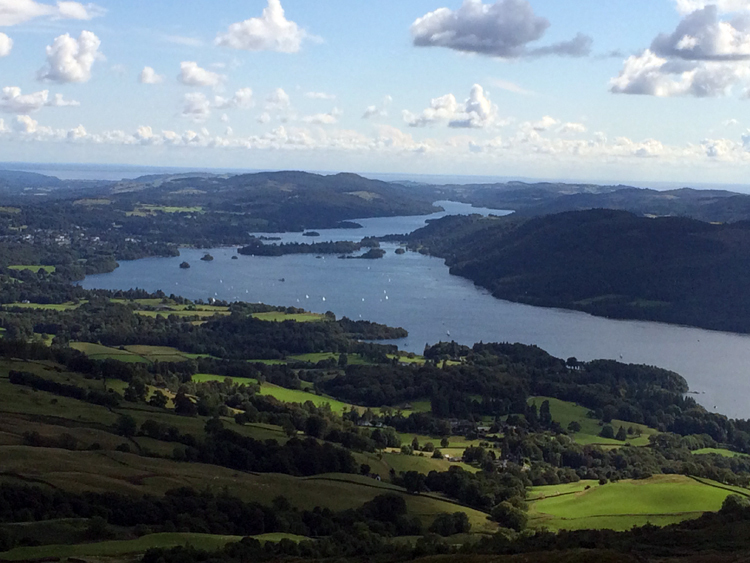 The Punch Bowl and the Drunken Duck – the two best pubs with rooms in the Lake District. Not all the bathrooms are quite like this!